A luxury complete-action cream, for beautiful, healthy and youthful looking skin: it offers maximum hydration that persists for more than 24 hours; deeply nourishes in a balanced way; is an exceptional anti-aging treatment, helping to regenerate and re-structure the skin, giving it firmness, elasticity, softness and re-balancing its sebaceous level. It is the result of more than 20 years of research in our laboratory. We aim for a perfect skin, healthy, young, radiant and with a uniform tone. It is made from exquisite natural ingredients of premium quality, among which are marine pearl powder, moringa and jojoba oils, vegetable squalene, hyaluronic acid obtained from the fermentation of wheat peptone, Shea Butter and Essential Oils Amyris Balsamifera, Aniba Rosaedora and Pelargonium Graveolens. PROPERTIES: Moisturising, nourishing, rebalancing, combats free radicals, fights the signs of ageing, stimulates collagen synthesis, restores the skin barrier and makes the skin lustrous. 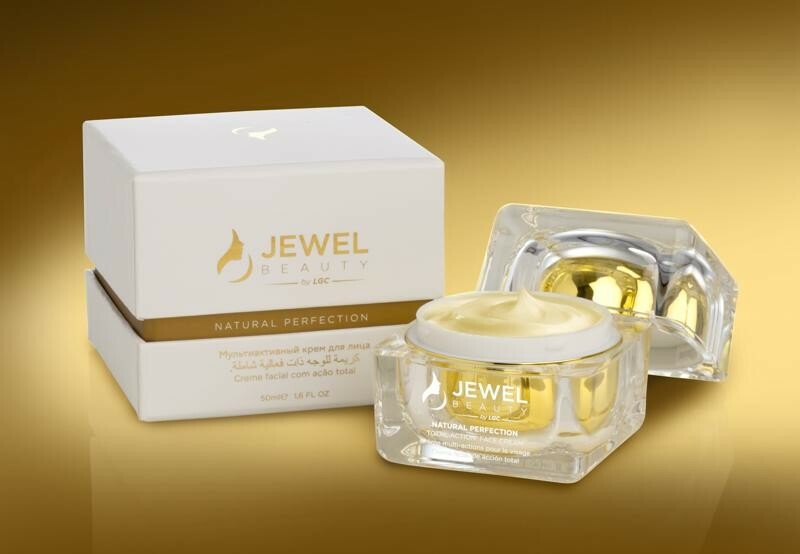 RESULTS: Younger-looking and healthier skin, well-moisturised and nourished, soft, smooth, firm and radiant. HOW TO USE: Apply a small amount of product to the face, neck and décolletage every morning and/or night. Massage with both hands, starting from the centre of the nose and across to the ears, then from the eyebrows and moving up the forehead to the hairline, and finally from the chin down to the neck and décolletage. ACTIVE INGREDIENTS: Moringa Oleifera Seed Oil, Simmondsia Chinensis Seed Oil, Squalane vegetal, Butyrospermum Parkii Butter, Pearl Powder, vitamins E, B5, A, Amyris Balsamifera Bark Oil, Aniba Rosaedora Wood Oil, Pelargonium Graveolens Flower Oil, Sodium Hyaluronate.